I've been travelling around a lot in the last year and met a huge number of you guys and girls at various events, we chat a lot about workflows, features of the program and how you first came to use it. However even now I find it surprising that I can show something new to even expert users that help with their day to day work. So in typical Buzzfeed style, here are 14 things you'll be shocked to know you can do with Autodesk Navisworks!!!! Forget 3D, 4D, 5D 6 and 7D, did you know there's 2D support in Navisworks? Now why is that important? Viewing a 3D file is great! It's revolutionised the way people work and coordinate with each other! However in the majority of cases, the main deliverable to the construction team on site is a set of 2D drawings, they provide additional detail you can't always get into a model, they're also a way of conveying information in a way familiar to that team. It's possible to save 2D sheets with a NWD alongside the 3D files with review, markup, viewpoints, sections, Timeliner animations then pass this to the wider team. One of the nifty features with 2D support is the ability to find the same item across other 2D sheets and the 3D models by using the 'Find Items in Other Sheets and Models' when right clicking an object. This has become even more important with 2D Quantification now in Navisworks, more on that soon. You can create very quick quantification for building out resources and tracking changes in models. This video shows a quick workflow on how to do this, if you're an estimator you may want to do a more thorough takeoff using a preconfigured catalogue, but if you just need access to some quick quantities, Navisworks is also perfect for that. This could just as easily be used to quickly color up the different MEP systems for clarity, or phases of a project. Profiles and Search Sets can be moved from one project to the next saving time with set up. 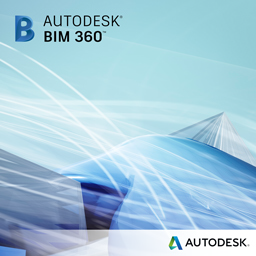 It's simply a case of opening or appending the file from the BIM 360 tab in Navisworks 2015, meaning you'll always be using the latest coordinated file and able to run your latest advanced construction tasks without worrying about using the wrong version. My favourite is to use the Properties section of the Selection Tree, I also use this method to create quick searches and Search Sets, this video shows some more detail. You can view any properties in the model by hovering over them in the model, you just need to switch on Quick Properties and decide which properties you want to see. If you haven't seen the Selection Inspector before, click on the icon on the Home tab, select a few objects and view the properties, again you can use the Quick Properties to decide which properties you need and then just export out a CSV of all those properties. Navisworks now has an App Store! In Navisworks 2015 you can now start taking advantage of Autodesk's huge network of API developers who will be posting a series of free and paid extensions through the Navisworks App Store. Are you a developer yourself? You can upload your own apps and make them accessible to a wide user base, just head to the Autodesk® Exchange Apps Developer Center. A current favourite of mine is Properties+ which came about as part of customer feedback asking if there's a quick way to just view the properties you need rather than the multiple tabs of all the properties, this is the result, try it out, it's free! For those of you using Revit, you will already know cloud rendering is easy, quick and gives amazing results, now it's available in Navisworks, meaning you can pull together all your files, no matter which application they came from and produce amazing renders. For example I'm no rendering expert but this Panorama took around 20 minutes to drag and drop some materials, send to the cloud and receive this impressive rendering back. You can also do illuminance studies in the cloud too! Did you know you can create cache files automatically overnight? What's the best way to save time whilst files are loading, get them to cache whilst you're asleep! It'll save you time and money every morning! You can automatically create an NWD every week to give a snapshot of where the project is up to. Make sure you run Navisworks as an Administrator and run the Batch Utility, you can then set up your automated tasks using the Windows Task Scheduler. You can see your model with 3D glasses! If you have supported hardware you can enable Stereo viewing. More information on Stereo Viewing in Navisworks can be found on the blog. In fact we have huge support for the IFC file format across Autodesk, look at our Interoperability page at www.autodesk.com/ifc for more information about our IFC certifications across Autodesk products and support of COBie with a COBie exporter from Revit which completed the COBie challenge with top honours in 2013 and 2014. Now it is 2017 and I installed a piece called Navisworks Simulate that came with our 'Premium' suite of building software. I tried adding a 2D document at once because that is something I found really nice in BIMx and wanted to give it a go in our Autodesk environment. Unfortunately, Navisworks Simulate quit this attempt with the comment the pdf file in question did not contain any 3D information. Am I missing something or is 2D functionality exclusively for the Navisworks Manage version? Or has the 2D functionality been somehow sweated out of the software in the past couple of years? Or, does it just not work by adding more models and I need to use some special command?